The 4th International INSECTA 2018 Conference took place in Gießen Germany on September 5-7, 2018. About 250 participants from 32 different countries were present for this Congress with topics such as breeding, legislation and processing of insects. 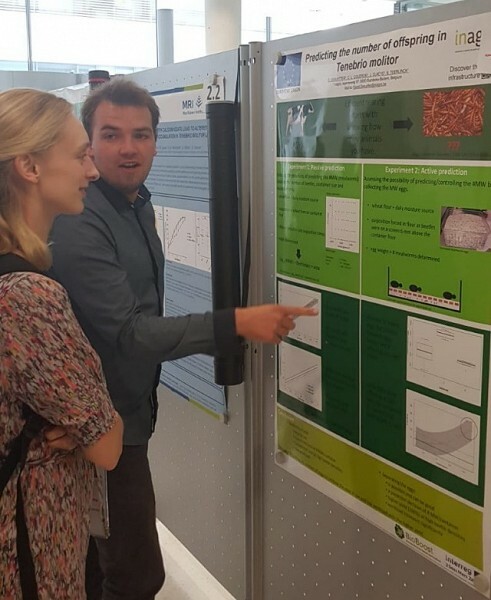 Partner Inagro presented their most recent BioBoost research results here related to the influence of a moisture source, temperature and relative humidity (RH) on the growth of the ordinary mealworm. Jonas Claeys (Inagro) explains the research to whom is interested.